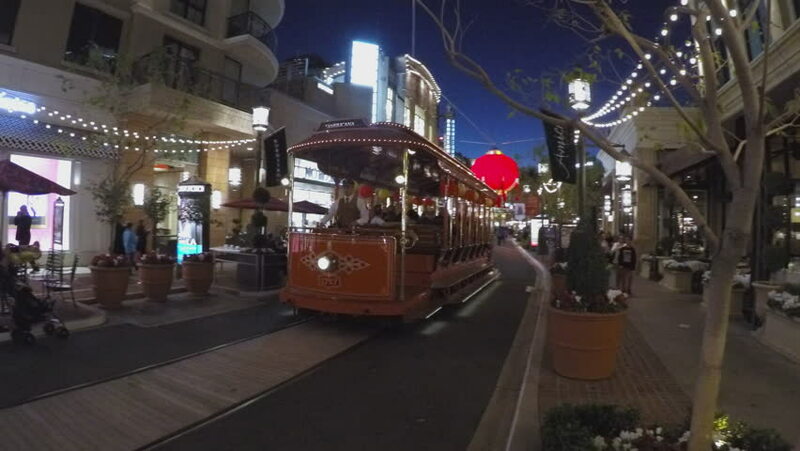 GLENDALE, CA/USA: February 21, 2016- Trolley car train at an outdoor shopping center at night. A train conductor transports shoppers and mall patrons at the Americana At Brand in Glendale California. hd00:22emergency lighting on the road.